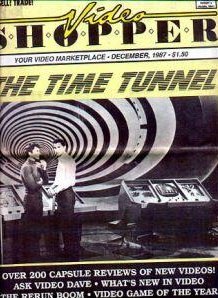 The Time Tunnel Video Shopper TV Magazine. December 1987. Includes four-page article with photos and an episode guide on The Time Tunnel inside the magazine. This magazine is original, complete, and in excellent condition.